Raina the Gummy Fairy was enjoying a quiet afternoon in Gummy Forest. The sun was beginning to set, and she was feeding the gummy fish. Twice a day she sprinkled the flavor flakes into Gummy Lake. Raina loved taking care of the animals who lived in Gummy Forest. All of a sudden a loud voice startled her. 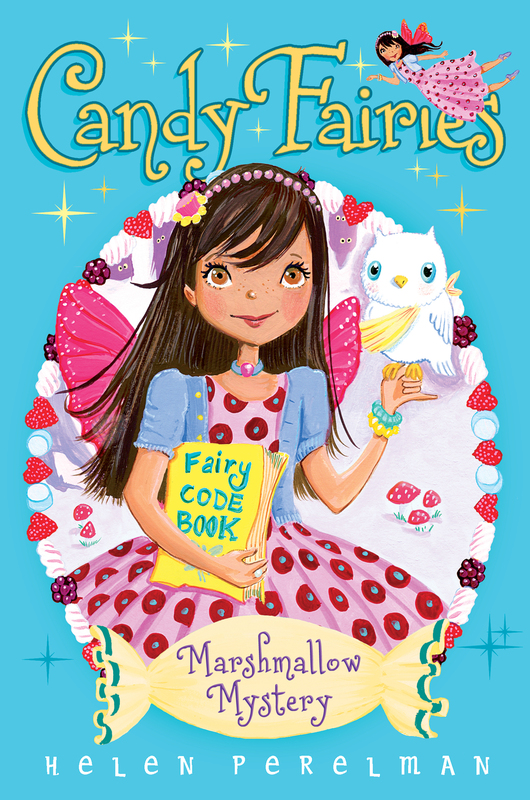 “Raina!” shouted Dash the Mint Fairy. Dash whizzed down to the ground as if she were in a race. She nearly knocked Raina over when she landed. “I am so happy to find you!” Dash cried. Dash pushed a lock of her blond hair out of her face. Her small silver wings were beating superfast. “I really need to talk to you,” she said, panting. Dash was one of the fastest fairies in Sugar Valley. Raina could tell that Dash had just made the trip to Gummy Forest in record time. “Okay, okay,” Raina said. “Slow down. There’s no race today.” She smiled. No one loved a race more than her friend Dash. Dash put her hands on her knees and took a few deep breaths. She took an extra-long breath in and out before she spoke. “It’s Mallow,” Dash finally said. “What do you mean?” Raina asked. “I think that he may be hiding something,” Dash replied. “Let’s sit down over here,” Raina said. She guided Dash over to the dock by the lake and they sat down on the edge.